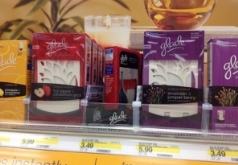 Glade Expressions Oil Diffusers are priced just $5.99 at both Target & Walmart. Use the $5.00/1 Glade Expressions Oil Diffuser Starter Kit coupon to score these for just $.99 each. This is a hot stock up price and this coupon won't last for long so grab yours now.